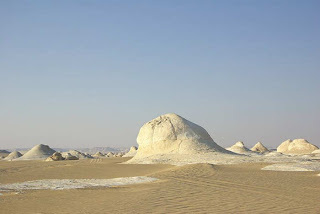 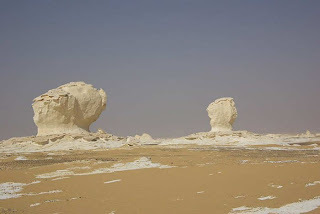 About 45 km north of Farafra, the White Desert begins. 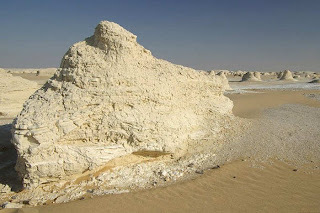 It’s truly a white desert in clear contrast with the yellow desert elsewhere, something which you will not believe before seeing with your own eyes. 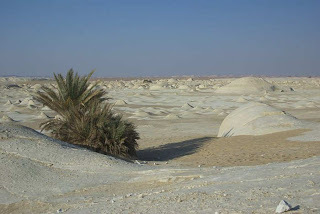 At night, and many of the organized trips out here include overnight stay out in the desert. 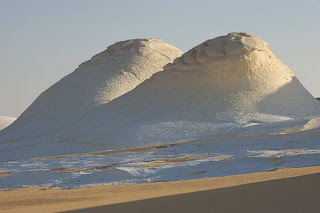 The white desert is best viewed at sunrise or sunset, in the light of a full moon, which gives the landscape an eerie Arctic appearance. 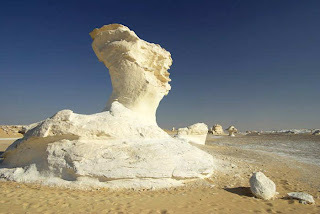 The White Desert is a popular tourist spot for its dramatic and unusual rock formations. 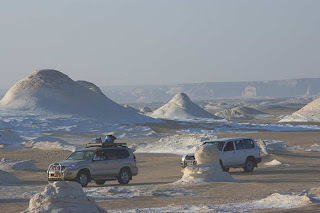 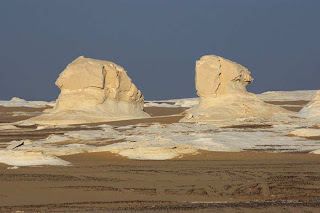 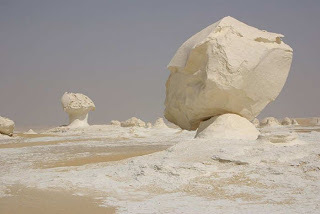 The snow-white desert is actually made of chalk that has been exposed for years to what geologists call "differential weathering," the erosion of soft particles that results in eerie protrusions of hard rock. 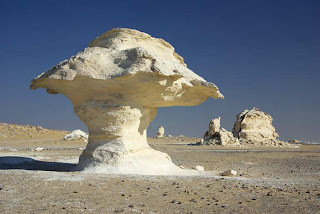 These mushrooms shaped rock formations are ten to fifteen feet tall. 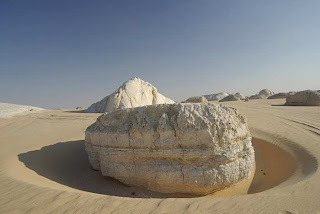 The limestone bases had been worn away by the mixture of wind and sand that had blown by them at high speeds for thousands of years. 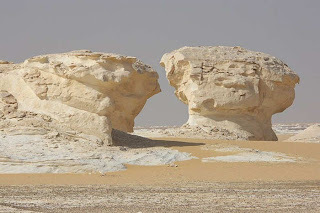 The differential weathering explains the very beautiful forms that now fill the White Desert including shapes like domes, minarets, castles, towers and so forth.